Build new deck over existing concrete patio. Framed deck with pressure treated material. Installed AZEK decking. 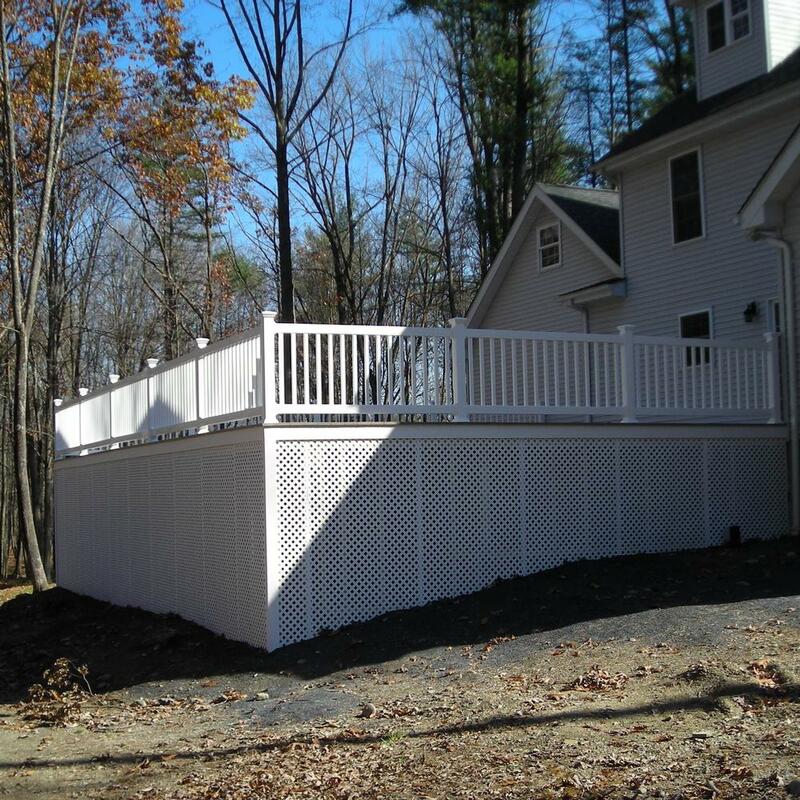 Installed vinyl lattice on apron and Fairway railing on entire deck.